Many types of candy bars are available at the checkout aisle of nearly every grocery store and a variety of other retail stores. There are many types of candy bars available today that have a range of fillings or are simply a pure chocolate. One classic that has been around for generations is the Almond Joy. 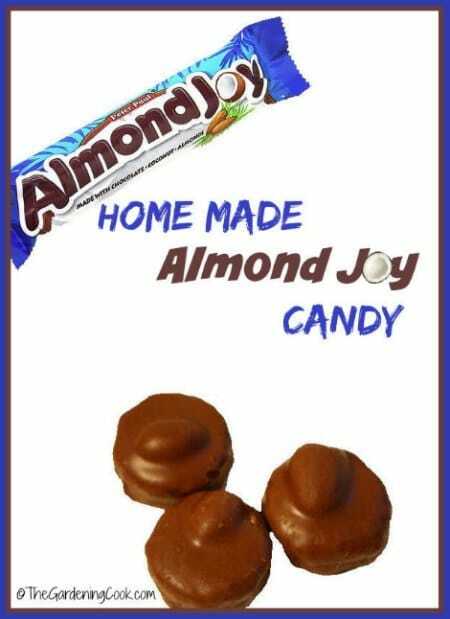 You may not know you can easily make a homemade Almond Joy as an alternative to manufactured products. The two most important ingredients to have on hand to make homemade Almond Joy are coconut and a supply of Almonds. You have the option to use fresh coconut or dried coconut. The option will depend on your preference and the products available at your local grocery store. Organic is the best option for your homemade Almond Joy. You will also need a variety of other ingredients to make homemade Almond Joy. The majority needed for this baking project may already be in your kitchen. One ingredient you might not have is the chocolate that is used for the coating. Any type of semi-sweet chocolate can be used. However, you might want to have a few different brands to use to see if one may result in a better flavor. The best thing about making homemade Almond Joy is you get to be creative. You can create the shape of a conventional candy bar or make your own bite sized candy bar pieces. This is a great option if you want to have a candy as a snack and to use as a gift for a friend or family member. Your homemade Almond Joy needs to cool and be kept in a suitable container. The best option is a plastic container that is airtight. You may want to keep the candy in the refrigerator as the chocolate may melt if your kitchen is too warm.